The UN-declared 2012 International Year of the Cooperative provides an excellent opportunity for people around the world to learn about co-ops and engage with them in new and exciting ways. The Toolbox for Education and Social Action is a Massachusetts based worker-cooperative that creates participatory educational resources for social and economic change. TESA also provides services to support individuals and organizations developing and implementing their own educational materials, programs, and digital resources. TESA is excited for the IYC because we believe it provides a catalyst for strengthening the cooperative movement through the implementation of new, unique educational opportunities on cooperatives. One of TESA’s guiding principles is the belief that democratic education is a fundamental tool for building democratic communities, economies, and organizations. Democratic education (also referred to as participatory or popular education) is a pedagogical approach in which educators and learners are valued on an equal level, where everyone has something to teach others based on their insight, backgrounds, and skills. It is a collaborative process of learning that is engaging, interactive, and directly relevant to the interests and needs of the learners. Essentially, it is the “cooperative” approach to education. In democratic education, every issue that is taught and learned should be examined through the lens of how it affects the learners’ lives, their goals, and their communities. To achieve these aims of equity, participatory education utilizes interactive, dialogue-based approaches - just like a cooperative business. In this way, democratic education is an especially critical tool for the co-op movement, because the ways that people learn directly shapes the ways that they work and interact with each other. Thus, one of TESA’s missions is to supply resources, skills, programs, and opportunities to the cooperative movement so that it can readily adopt democratic education during the IYC and beyond. We are continuing to create a host of exciting and accessible resources for and about co-ops, and we have highlighted some of these projects below. We have designed these democratic education-based projects so that they can be utilized by anyone interested in teaching and learning about cooperatives - including you! The strategy is two-fold. First, we are creating materials that can be used by anyone -- students, professors, co-op members, etc. 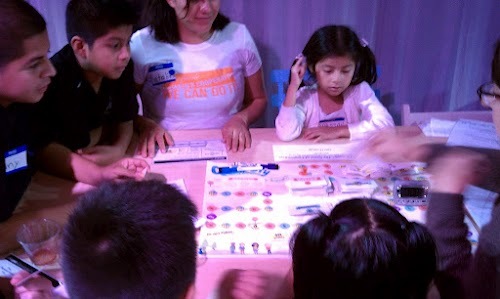 -- to organize and implement educational events on campuses about cooperatives. These resources are designed so that they can easily be connected to issues important to the interests of campus participants, such as sustainability, workers’ rights, and much more. Secondly, we are forging relationships between campuses and cooperatives in order to organize one-time events (such as teach-ins, workshops, panels, classroom visits, and more) as well as long-term programs. For example, we have already worked with Valley Green Feast, a co-op based in Northampton, MA, to create a semester long course at the University of Massachusetts, Amherst. In this course, students are working directly with real life cooperatives (such as Equal Exchange, Pedal People, Greenfield Food Co-op, and more) to explore and report on how these co-ops contribute to a secure and stable food system. Ready-to-use democratic-based educational workshops and resources you can employ to engage co-ops and/or campuses. Keep checking back, as we will continuously be adding more. We invite you to submit your own educational resources as well. 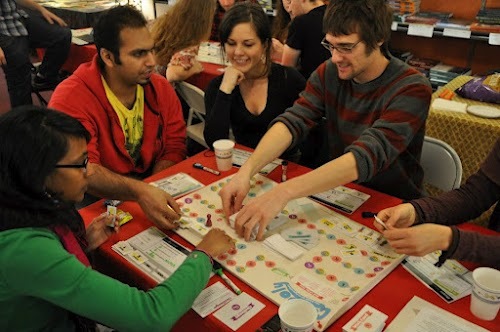 A registry and map that you can use to connect your campus with a cooperative, or your cooperative with a campus, to set up an event, program, or project on co-ops and the co-op movement. If you register your co-op, students and professors nearby can find and invite you to participate on co-op education efforts on their campus. In addition, you can reach out to campuses signed up with the registry and ask if they would like to collaborate on a educational event or program about co-ops. Ideas for exciting projects about co-ops that campus members can utilize and that can have an impact on your community and co-ops. A showcase for building as well as highlighting campus projects, events, and programs on co-ops. In this way, the work campus and co-op members do together can be shared with the rest of the world. Finally, this will allow students’ work to make a real impact on the co-op movement - rather than leaving an innovative paper they write on a shelf or hard-drive. While we want this program to engage campuses and co-ops with each other through more short-term methods like workshops, panels, field trips, and film screenings; we are also striving to make sure more long-term, durable relationships are fostered between the two. We hope the Cooperative Teach-In can be a catalyst to develop replicable courses that focus on co-ops and can be used on many different campuses. This will help create projects that span multiple semesters, and will in turn create long-lasting relationships between co-ops and campuses. Furthermore, we hope that the students and youth that engage in this project will be inspired to make co-ops a part of their future and will see co-ops as vehicles for social and economic change. 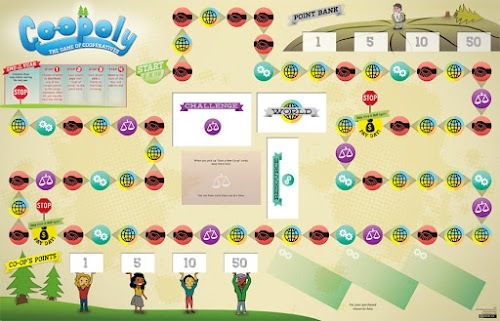 We are also developing free educational resources that can be employed alongside Co-opoly to help teachers, parents, students, organizers, co-ops, and more utilize Co-opoly as a means for co-op organizing and education. Cultivate.Coop, created by TESA, is “an online hub for pooling knowledge and resources on cooperatives. It is a space to collect free information for those interested in cooperatives and where people can build useful educational tools for the co-op community.” Essentially, the website is a wiki for all things related to cooperatives, cooperation, co-op education, and cooperative economics. At the start of the IYC, this project celebrated its one-year anniversary. Already, Cultivate.Coop has become a vibrant and active resource, with thousands of visitors from all of the world using it. Every week, there is a growing number of information on the site, from articles to workshops, that you can contribute to and utilize in your own efforts. One of the central purposes of this project is to democratize knowledge in order to democratize our economy. Consider Cultivate.Coop a knowledge commons that we all need to build together. 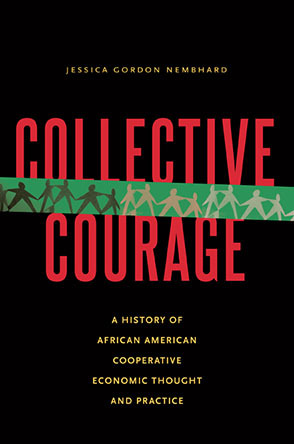 By pooling our collective knowledge and resources, we can foment people’s abilities to build and participate in co-ops. Cultivate.Coop will be a valuable resource this year and beyond. We encourage everyone to utilize Cultivate and to add to its growing cache of resources - from articles on cooperative “how-to’s” to co-op educational resources. We are also working to integrate Cultivate.Coop into co-op education efforts, and would love to discuss this possibility further with anyone interested. Andrew Stachiw's interest and experience in education, curriculum, and cooperative movements was catalyzed during his time at Hampshire College, beginning in 2006. While at Hampshire, Andrew completed a thesis on American Expansionism and Indian Removal Policy, while at the same time receiving a Massachusetts Teaching License for Secondary Education as a History Teacher. 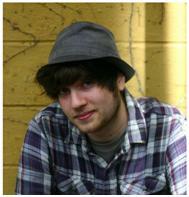 Andrew has extensive experience designing and and implementing curriculum and lesson plans. Furthermore, Andrew has created and designed workshops and conferences for a variety of issues, ranging from educational resources to social justice and social change movements. Andrew is a member of the worker-owned cooperative The Toolbox for Education and Social Action (TESA) – toolboxfored.org, which designs participatory educational resources for social and economic change. The Toolbox for Education and Social Action (TESA) is a worker-owned, next-generation publisher of participatory resources for social and economic change. 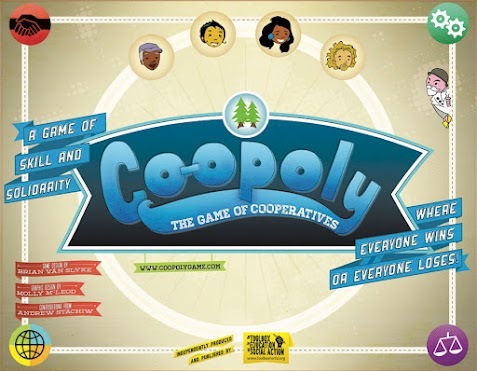 (Including Co-opoly: The Game of Cooperatives). TESA also provides services to support individuals and organizations developing and implementing their own educational materials, programs, and digital resources.